Much more than a suite of three CAD solutions, our Trinity concept combines the strengths of desktop computers, mobile devices and cloud computing into a unique CAD ecosystem. With ARES Commander, you keep the ability to work offline on your main computers as usual. 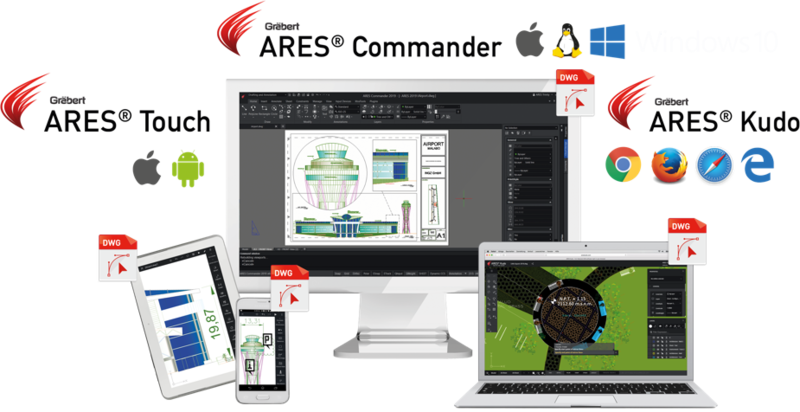 With ARES Kudo and ARES Touch you further add the agility of Cloud and Mobile CAD. 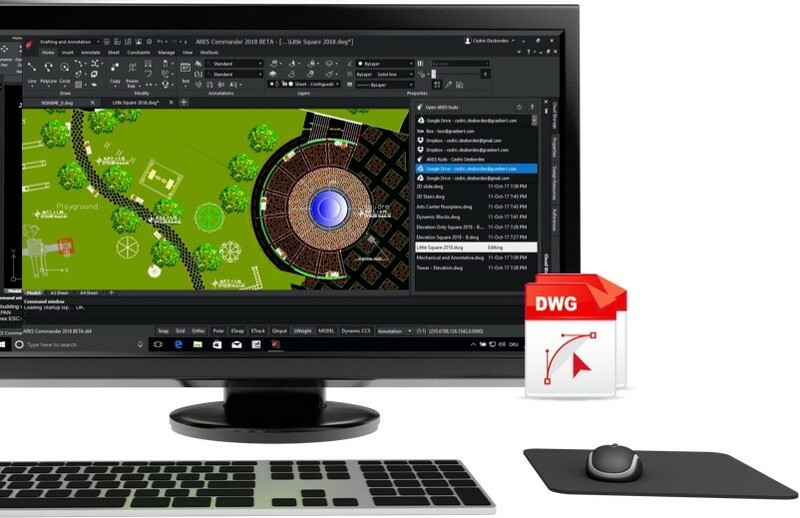 ARES Commander offers you all the features you need to create or modify DWG drawings in 2D or 3D in a productivity-driven environment. Keep using your laptops and/or computers for the heavy work as usual. Software will be fully installed on your computer and you can work even when there is no Internet. ARES Touch is the natural extension of ARES Commander for smartphones and tablets. Use ARES Touch to take your DWG drawings on the go. 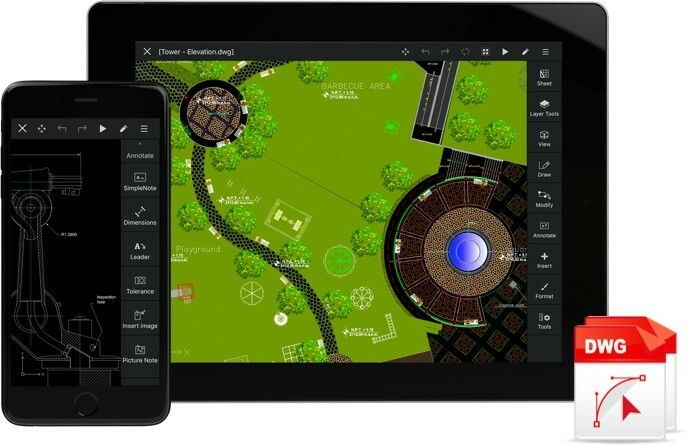 Providing you a complete set of 2D design and annotation tools for tablets and smartphones, ARES Touch fits a variety of mobile use cases where your drawings need to follow you around and fit into your pocket . 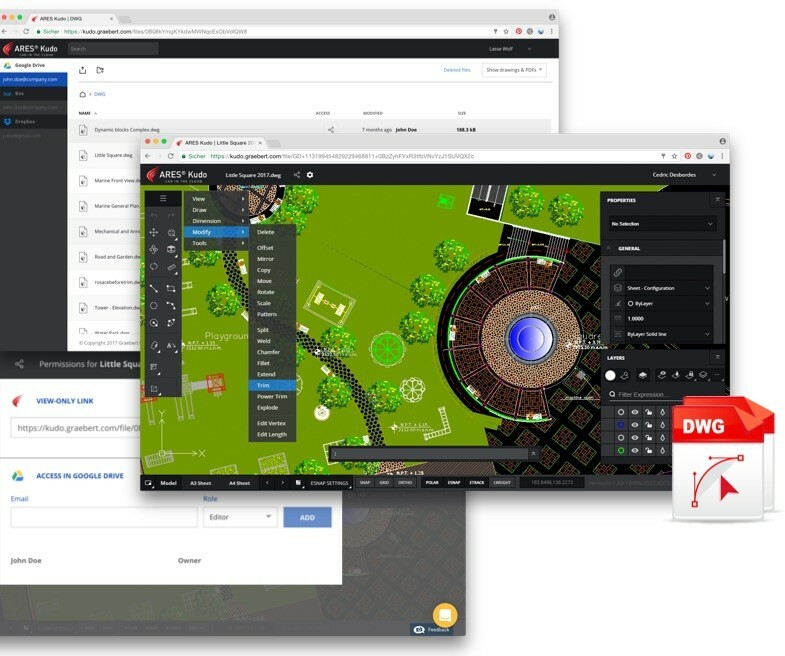 With ARES Kudo you can access your DWG drawings from literally anywhere. Nothing to install nor upgrade: ARES Kudo runs directly in any internet browser. You can use ARES Kudo to access, create or modify DWG drawings online. ARES Kudo is also integrated with ARES Commander and ARES Touch to nicely synchronize files across all your devices.